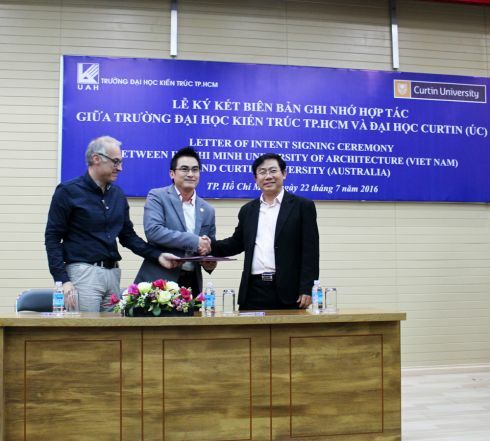 On July 22nd 2016, Memorandum of Cooperation Siging Ceremony between UAH and Curtin University was held in UAH. 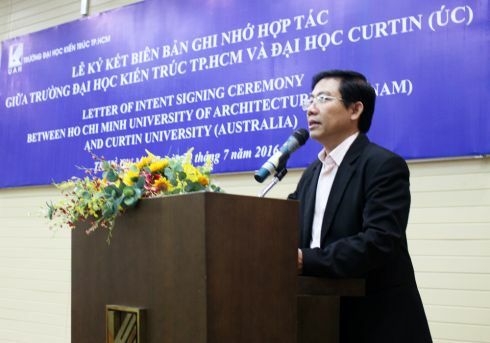 There were representatives of the Australian Consulate-General in Ho Chi Minh City, lecturers, coordinators and stundens form Curtin University attending the ceremony. As representavites of UAH, there were Dr.Arch. 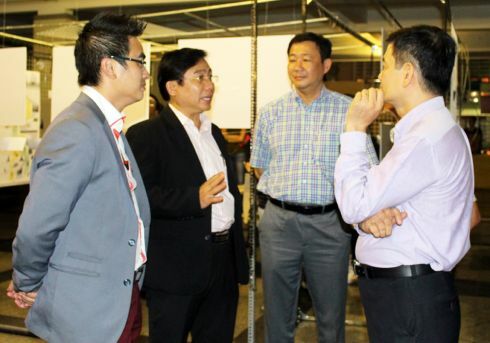 Le Van Thuong - Rector, Heads of Faculties of Architectur, Planning, Construction and other departments in UAH. 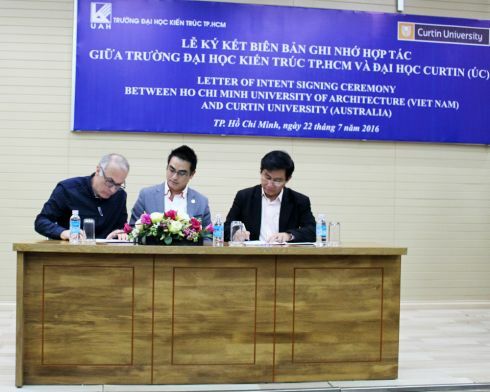 At the signing ceremony, UAH and Curin University highly agree to cooperate to conduct academic activities such as conferences, seminars, specific assigment and lessons; to exchange students and lecturers between two sides; to organize field trip for studens and lecturers, to develop international programs; to exchange best practice experience in teaching and learning; to explore related research opportunities; to train and provide high quality human resources in Architecture, Urban Planning and Construction, as well as other interested areas. 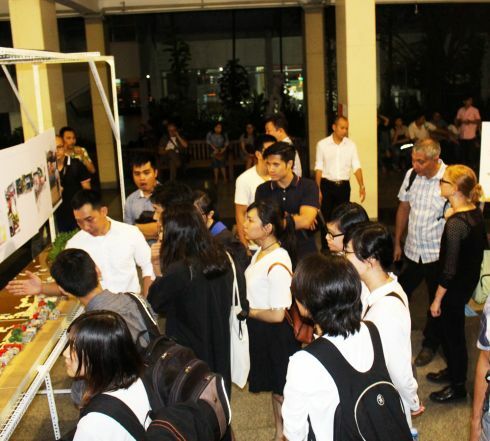 On this occasion, results of one-week workshop partipated by students from two universites were taken place in the lobby by an exhibition with the theme "Urban Tales” Exhibition. 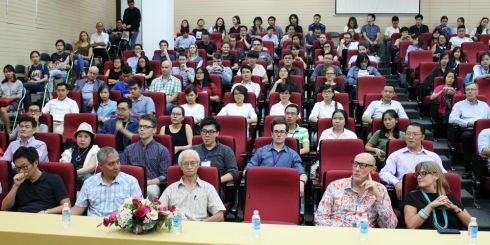 The workshop was held from July 15th to July 22nd 2016 with the participation of students from UAH and Curtin University. 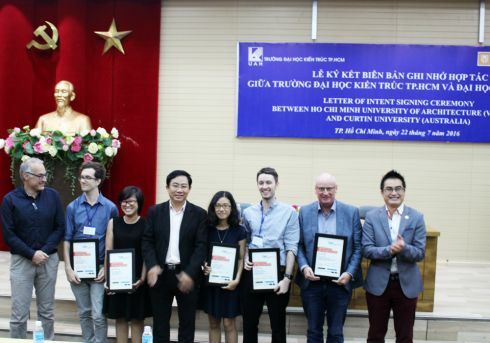 The workshop is the opportunity for students from Curtin University have better understanding of architecture Vietnam in general and HCM City in particular, and at the same time this is also the second chance for cultural exchange between two sides. 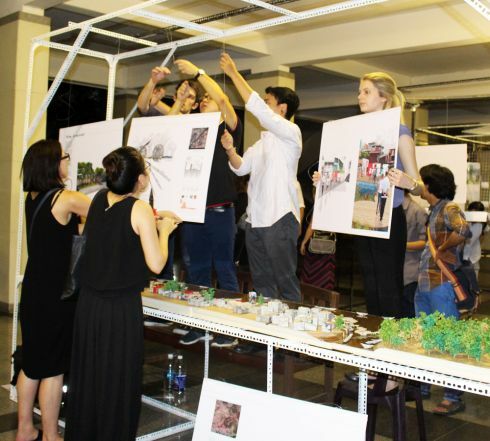 Students from UAH and 18 students from Curtin University were divided into 5 groups with 5 different themes and together did research and survey around the area, worked in the studio during 1 week. 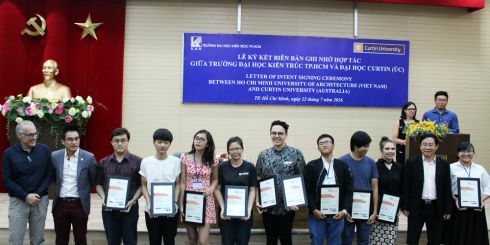 The last seminar took place in the lobby of Architecture University of Ho Chi Minh City on the evening of July 22nd 2016. The exhibition has been lasting for 7 days until July 29th 2016.